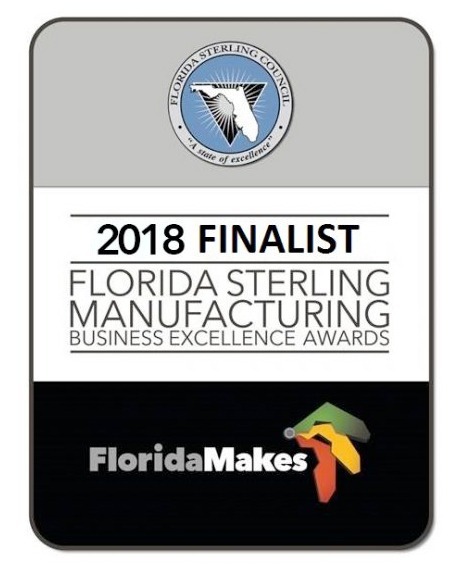 Apollo Sunguard is a Finalist for the prestigious 2018 Florida Sterling Manufacturing Business Excellence Award, presented by the Florida Sterling Council and FloridaMakes. TALLAHASSEE – The Florida Sterling Council and FloridaMakes today announced that 27 manufacturing companies have been named as finalists for the second Florida Sterling Manufacturing Business Excellence Awards. The winners, chosen from the finalists, will be announced at the 2018 Governor’s Sterling Awards Banquet at the JW Marriott Orlando Grande Lakes on June 1 in Orlando. provide participant companies with feedback and opportunities for improvement and development of high-performance.